Home Uncategorized Introduction to Southeast Asia: 11 Countries, 620 million people! 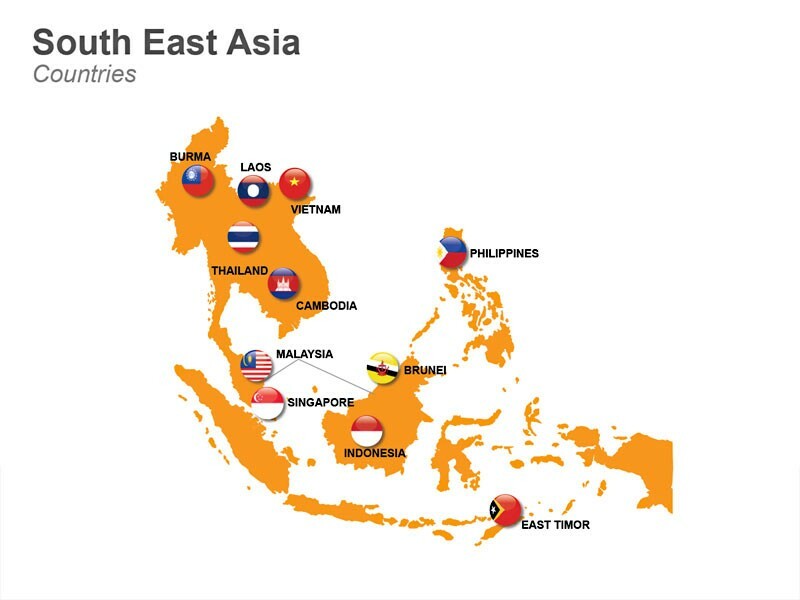 Introduction to Southeast Asia: 11 Countries, 620 million people! A tiny oil-rich sultanate on the island of Borneo. Officially the State of Brunei Darussalam or the Nation of Brunei, the Abode of Peace. Brunei has the second highest Human Development Index among the South East Asian countries after Singapore, and is classified as a Developed Country. According to the International Monetary Fund (IMF), Brunei is ranked 4th in the world by gross domestic product per capita at purchasing power parity. Cambodia is home to the Angkor Wat, the world’s largest religious building. The country is still recovering from decades of war and devastation under the Khmer Rouge. Cambodia was colonized by France in the mid-19th century, and gained independence in 1953. The Vietnam War extended into Cambodia, giving rise to the Khmer Rouge, which took Phnom Penh in 1975. After years of isolation, the war-ravaged nation was reunited under the monarchy in 1993. Cambodia is now quickly gaining reputation as a tourist destination. Rebuilding from decades of civil war, Cambodia has seen rapid progress in the economical and human resource areas. The country has had one of the best economic records in Asia, with economic growth growing an average 6.0% for the last 10 years. One of the world’s newest and poorest states, at the eastern tip of Timor. The country was colonized by Portugal (in the 16th century), but declared its independence in 1975. East Timor was subsequently invaded by Indonesia, and ruled as Indonesia’s 27th province until 1999. East Timor is the youngest state in Southeast Asia. East Timor became the first new sovereign state of the 21st century on May 20, 2002. East Timor is one of the only two Roman Catholic Southeast Asian countries, the other being the Philippines. The country continues to suffer the aftereffects of a decades-long independence struggle against Indonesia, which damaged infrastructure and displaced thousands of civilians. Southeast Asia and the world’s largest archipelago: Over 240 million Indonesians inhabit over 18.000 islands, spanning three time zones. 300 languages are spoken, although the lingua franca Bahasa Indonesia, is spoken by almost everybody. Indonesia bore the grunt of over 350 years of colonization by the Dutch. Japanese occupation during World War II ended Dutch rule, but subsequently took over the reins, resulting in four million casualties as a result of famine and forced labor. Two days after the surrender of Japan in August 1945, Sukarno, an influential nationalist leader, declared independence and was appointed president. The Netherlands tried to reestablish their rule, and an armed and diplomatic struggle ended in December 1949, when in the face of international pressure, the Dutch formally recognized Indonesian independence. The island of Java is the most densely populated, its large, hectic cities attracting labor migrants from far and wide. Bali, the small Hinduistic island to the west of Java, is the main port of call for most tourists. Laos is the forgotten, but growing, country of Southeast Asia, landlocked by Cambodia, China, Myanmar, Thailand and Vietnam. It is a mountainous country that is becoming more and more popular on the backpacker trail. Laos traces its history to the Kingdom which existed from the 14th to the 18th century when it split into three separate kingdoms. In 1893, it became a French protectorate. It briefly gained independence in 1945 after Japanese occupation, but returned to French rule until it was granted autonomy in 1949. Laos became independent in 1953, with a constitutional monarchy under Sisavang Vong. Shortly after independence, a long civil war ended the monarchy, when the Communist Pathet Lao movement came to power in 1975. Malaysia is a multicultural country covering the skyscrapers of Kuala Lumpur and the jungle headhunters of Borneo. Malaysia spans a peninsular area bordered by Thailand in the north and two states (Sarawak and Sabah) on the island of Borneo, which it shares with Brunei and Indonesia. The large majority of the population (over 20 million) live on the Peninsula. Malaysia has its origins in the Malay Kingdoms present in the area which, from the 18th century, became subject to the British Empire. The territories on Peninsular Malaysia were first unified as the Malayan Union in 1946. Malaya was restructured as the Federation of Malaya in 1948, and achieved independence on 31 August 1957. Malaya united with Sabah, Sarawak, and Singapore on 16 September 1963, with si being added to give the new country the name Malaysia. However, less than two years later in 1965, Singapore was expelled from the federation. Since independence, Malaysia has had one of the best economic records in Asia, with GDP growing an average 6.5% for almost 50 years. Myanmar/ Burma is the second largest country in Southeast Asia. Burma is probably the least known country in Southeast Asia. Thanks to decades of military dictatorship it is also the least developed country with a population of 60 million people. Burma is home to some of the early civilizations of Southeast Asia including the Pyu and the Mon. In the 19th century, following three Anglo-Burmese Wars, Burma was colonized by Britain. Since independence in 1948, the country has been in one of the longest running civil wars among the country’s myriad ethnic groups that remains unresolved. From 1962 to 2011, the country was under military rule. The military junta was dissolved in 2011 following a general election in 2010 and a civilian government installed. Burma is a resource rich country. However, since the reformations of 1962, the Burmese economy has become one of the least developed in the world. Burma’s GDP stands at $42.953 billion and grows at an average rate of 2.9% annually. This Southeast Asian country is a unique fusion of the Asian traditions of hierarchy combined with the Spanish culture of romance and sophistication. It is the largest Christian nation in the region with over 7,107 islands and an estimated population of about 94 million people. Its location in the Pacific Ring of Fire and its tropical climate make the Philippines prone to earthquakes and typhoons but have also endowed the country with natural resources and made it one of the richest areas of biodiversity in the world. The Philippines is categorized broadly into three main geographical divisions: Luzon, Visayas, and Mindanao. Its capital city is Manila. Multiple ethnicities and cultures are found throughout the islands. The Philippines were ruled by Spain for over 300 years. In the 20th century, the Philippines in quick succession went through the Philippine Revolution which spawned the short-lived First Philippine Republic, the Spanish-American War, and the Philippine–American War. In the aftermath, the United States emerged as the dominant power. Aside from the period of Japanese occupation, the United States retained sovereignty over the islands until the end of World War II when the Philippines gained independence. Since independence the Philippines has had an often tumultuous experience with democracy, with popular “People Power” movements overthrowing a dictatorship in one instance but also underlining the institutional weaknesses of its constitutional republic in others. Singapore is a clean and orderly island-city state. Multicultural shopping paradise & gastronomic melting pot offset by stringent rules and regulations. Made up of 63 islands, Singapore is the smallest country in Southeast Asia, yet highly urbanized. Population is around 5 million, Chinese, Malay and Tamil are the official languages. Singapore had been a part of various local empires since it was first inhabited in the second century AD. Modern Singapore was founded as a trading post of the East India Company by Sir Stamford Raffles in 1819 with permission from the Sultanate of Johor. The British obtained full sovereignty over the island in 1824 and Singapore became one of the British Straits Settlements in 1826. Singapore was occupied by the Japanese in World War II and reverted to British rule after the war. It became internally self-governing in 1959. Singapore united with other former British territories to form Malaysia in 1963 and became a fully independent state two years later after separation from Malaysia. Religion: Buddhism, Islam, Christianity, Taoism and Hinduism. Thailand is officially known as the Kingdom of Thailand, formerly known as Siam. The Land of Smiles with frenetic cities and chilled-out beaches, the most popular destination in the region with probably the most well established tourist infrastructure. Bangkok is a cosmopolitan city dotted with temples. The islands in the southeast and west are proven holidaymakers. Vietnam is firmly marching down the road to capitalism as one of the world’s fastest growing economies. One of the more popular tourist destinations in the area. Ho Chi Minh, Hanoi, wondrous scenery at Ha Long bay. Its gruesome past is displayed in museums and the countryside.